The year 2015 marked 70 years since the end of the Second World War, but for countries like Estonia, who remained occupied by the Soviet Union, the repressions were only just starting. 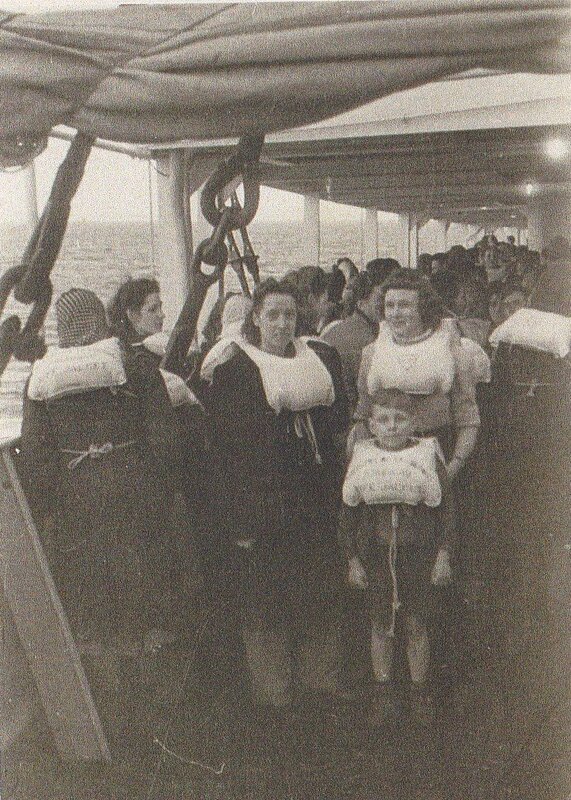 Of the people who managed to flee Estonia by 1944, the majority of them took refuge in nearby Finland, Sweden or Germany. Thousands found themselves in displaced persons’ (DP) camps in Germany, which became their temporary home for a number of years. After WWII Europe was in a state of total ruin. Approximately sixty million people had been killed; nations torn apart and between 11 million and 20 million Europeans were left displaced. 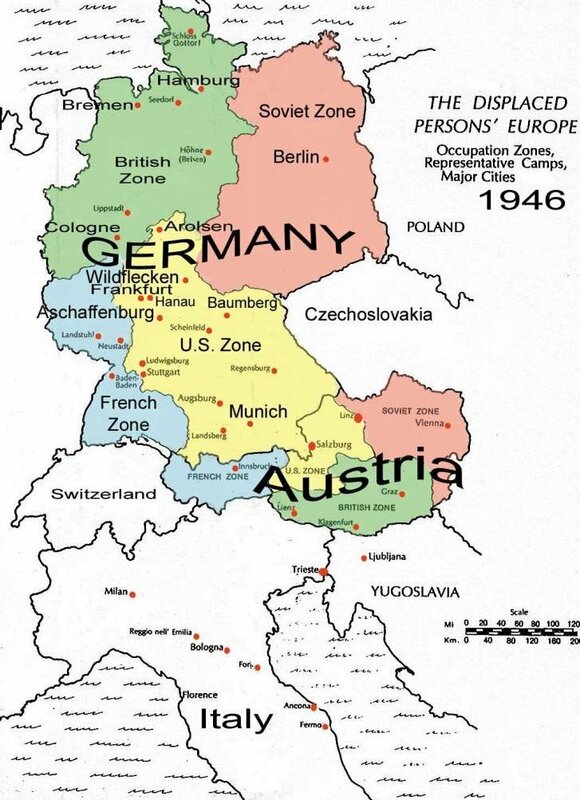 Germany was occupied by the allies and divided into four sectors – British, American, French and Soviet. Millions of people were left homeless and had to rely on foreign aid for survival. Germany had approximately 200,000 Baltic people registered as displaced persons in 1945 with 33,000 of them being Estonian. In 1945 the military missions in the British, American and French sectors established DP camps to provide temporary shelter, nutrition and health care to refugees. Hundreds of camps existed all over Germany and in parts of Austria and Italy. Later in 1945, the running of the camps was handed over to the United Nations Relief and Rehabilitation Administration (UNRRA) and then later to the International Refugee Organisation (IRO) in 1947. The original plan for the DP camps was to repatriate people to their country of origin as quickly as possible. 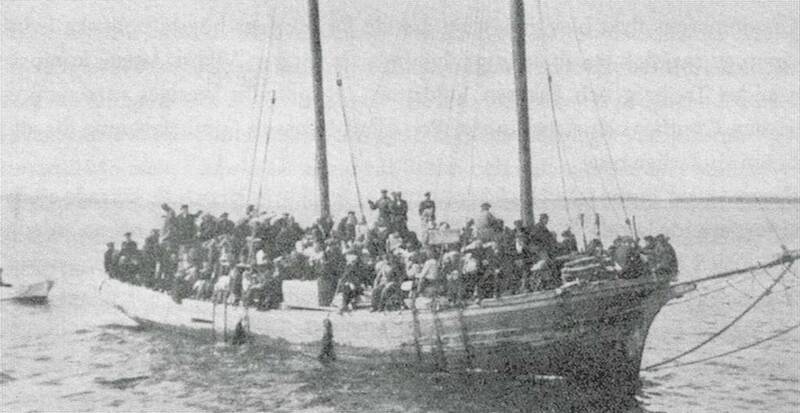 By the end of 1945, the military authorities managed to repatriate over five million displaced persons, but they soon realised it was not possible to do the same with the Baltic peoples. Even though the war was over, their countries were still occupied by the Soviet Army and returning home would mean persecution, deportation or even death. When people first arrived at one of these DP camps they often experienced a sense of relief. The camps offered a degree of security; a roof over their heads, regular meals and the possibility of being reunited with their lost loved ones. But people couldn’t afford to be complacent; they lived in daily fear of being extradited to the Soviet Union. 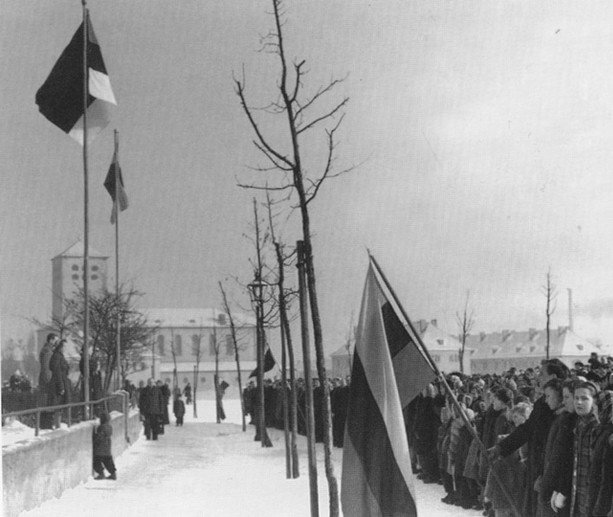 Many Estonians had hoped the US Army might go and liberate Estonia from the Red Army, but this never happened; in fact it was never on the Americans’ agenda. For the Estonians living in the displaced persons’ camps, all they could do was wait and see what their future would hold. They had no choice but to get by the best way they could. People were grouped together according to nationality in DP camps. Upon arrival people registered their details and were given a DP identification number. For example, this writer’s grandmother Hertha’s number was 064057. Accommodation varied from camp to camp, buildings such as military barracks, schools, hospitals, private homes, hotels and even airports were used to house people. Camp life was culturally very rich, in particular for the Baltic peoples. As many of the DPs who fled the Baltic states were intellectuals, farmers, craftsmen and artists, they brought a lot of useful skills with them to the camps. They established their own newspapers, workshops, theatres and training centres that created a sense of community within the camps. The workshops produced some very fine handcrafted goods made from wood, leather and textiles. Embroidery was also very popular. In the beginning, when DP camps were first established, the living conditions were quite dire. Sometimes DPs had to use accommodation that was previously used by forced labourers or that was either very basic or substandard. Overcrowding was often an issue, food shortages were common and if camp life wasn’t challenging enough, people were faced with a new peril – the outbreak of tuberculosis. Tuberculosis was rife is some camps. In particular, Zoo Camp that was located in Hamburg, had many cases of tuberculosis which resulted in numerous deaths. The buildings these people lived in were originally built by the Blohn & Voss Company (a shipping and engineering firm) to house forced labourers who worked in their factory during the war. The timber structures were often damp and cold, prime conditions for tuberculosis to set in. The Baltic University had its origins at Zoo Camp until the students were relocated to nearby Pinneberg where the stone buildings were much better. 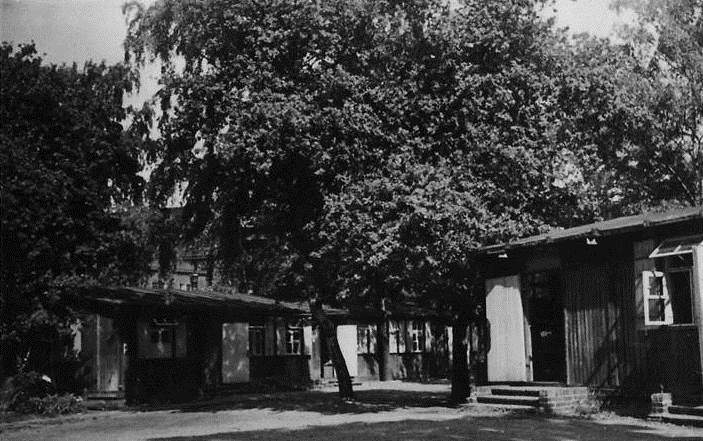 Not all DP camps struggled with health and welfare issues, for example, Geislingen Camp, located near Stuttgart (American sector) was described as “the Hilton of DP camps”. This writer’s distant relatives, Heino and Aili Lestal, lived at Geislingen after the war and said the conditions were very good. Aili, now a spritely 91-year-old woman living in Canada, remembers that Geislingen was a purely Estonian DP camp, consisting of approximately 2,000 people who lived in confiscated German houses. Each family occupied one room, Aili says, enabling them to have at least some privacy. There were 17 people living in the house where Aili lived; her future husband Heino lived in the house next door. Many people found love while living in the camps, which would have come as a welcome distraction considering the perils they faced. This writer’s Estonian grandparents met and fell in love while living at Zoo Camp in Hamburg. They married shortly after arriving in Australia in 1949. Heino and Aili married at Geislingen and spent their “honeymoon” and New Year’s Eve on board the “Vollendam” as she sailed to Australia in 1948. The announcement of new mass emigration programs offered by countries experiencing labour shortages triggered an out flux of people living in DP camps during 1948 and 1949. Belgium was the first country to offer large scale immigration, seeking 20,000 coal miners. The UK and Canada also offered a number of opportunities but required sponsorship. The Australian program, known as the “DP Group Resettlement Scheme”, was viewed favourably by the IRO and DPs for several reasons. Unlike other schemes, which required DPs to have personal sponsorship from a friend or relative already residing in the prospective country, the Australian government took on the role of sponsor itself, hence making the process a lot easier for applicants. 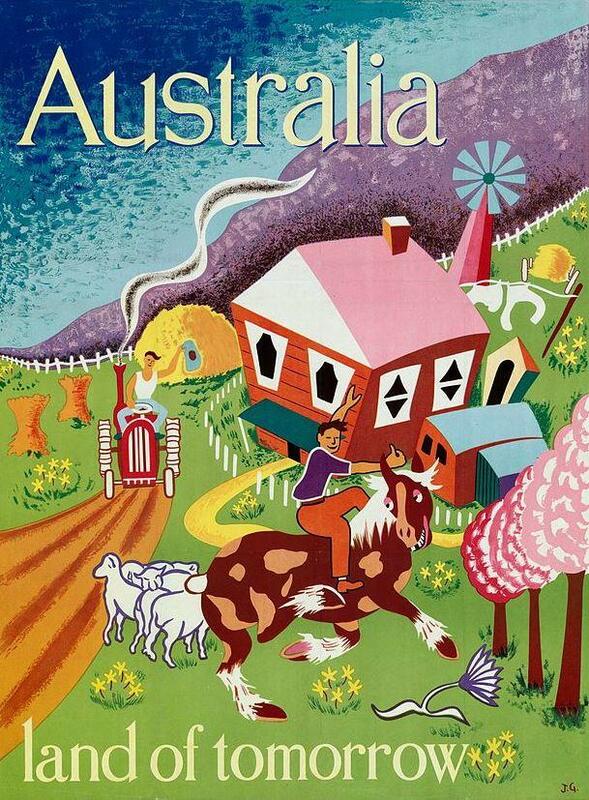 In addition, Australia not only accepted single men and women into the programme but also welcomed families too. This provided peace of mind for those who feared being separated from their loved ones. The United States was late to adopt a refugee policy and had several exclusions. For example, they wouldn’t accept anyone who suffered from tuberculosis or who had served in the German Army. Many DPs preferred the Australian resettlement scheme for one very distinct reason – the country was very far away from Europe and its turmoil. Upon departing DP camps people were issued with a “Good Conduct Certificate” stating their name, date of birth and the date they first started residing at the camp. The certificates also confirmed they had not been convicted of any crime or misdemeanour. This writer’s Estonian grandmother Hertha had dreams of immigrating to America but unfortunately her application was rejected. She later joined her husband in Australia and it was there where they started their new life together. When they first arrived in Australia they had to stay at the migrant reception centre in Uranquinty in rural New South Wales. There they learned about the Australian culture and to speak English. All migrants had to fulfil a two-year work contract to the Australian government; then, once that was complete, they were granted residency and had complete freedom of movement. Many migrants later took up Australian citizenship and permanently settled in Australia while others left and were reunited with family members in other countries. The mass migration schemes after WWII were a great success. They enabled people not only to rebuild their lives and live in peace but also to contribute positively to society. They brought with them their skills, knowledge, culture and cuisine. Things we still enjoy today. Australia has benefitted greatly from its migrant population and everyone lives in relative harmony. Many countries took in refugees, here are the total resettlement figures: Venezuela 17,000; Belgium 22,000; Brazil 29,000; Argentina 33,000; France 38,000; UK 86,000; Canada 157,687; Australia 182,159; United States 400,000. 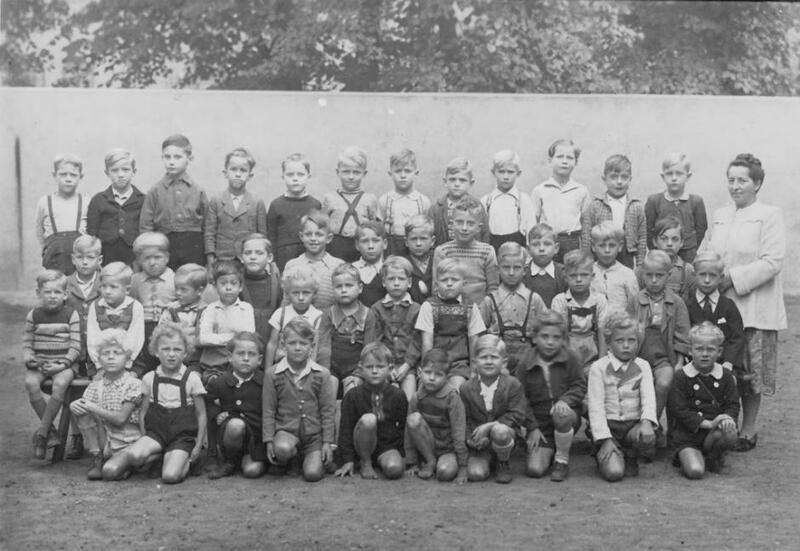 Cover: Estonian refugee children in Hamburg ca. 1945. Photos courtesy of Tania Lestal and Estonica.org. * Please note that this article was originally published on 14 September 2015. Tania Lestal is a third generation Estonian born in Australia. Tania has studied media and communication and worked in film and television, as well as running various film festivals. She enjoys travelling and has lived in London, Berlin, Munich and Sydney. Currently operating a small online giftshop and freelancing in media.